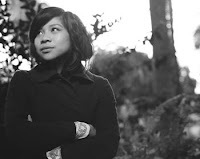 My new favorite musician is a talented singer-songwriter from Malaysia named Zee Avi. I fell in love with her just before Christmas, when her song “No Christmas for Me” was put on the compilation album This Warm December: A Brushfire Holiday Vol. 1, put out by Jack Johnson’s label. I looked her up online (she had an empty webpage back then), and found her on YouTube and MySpace, where she had several videos of her songs posted…all featuring just her smooth, jazzy, mellow voice and backing guitar. Her self-titled album debuted on May 19th, and I bought it on release day. I have not been disappointed. Everyone I’ve introduced her music to loves Zee, and I wanted to share that on in blog form. So here are two links: the first is video of her performing three of her songs in a studio, and the second is a SPINearth report. Enjoy! UPDATES: CNN has posted an article on Zee. She's huge! And a thoughtful and thorough album review.